I love you to pieces. What better way to say 'I love you' to a special someone. Our gold plated jigsaw piece locket keyring is oh so sweet, the perfect gift for that special person in your life male or female whom you love to absolute pieces! You'll also find it's makes a super gift for mums, best friend or sisters, why not engrave MUM or DAD? 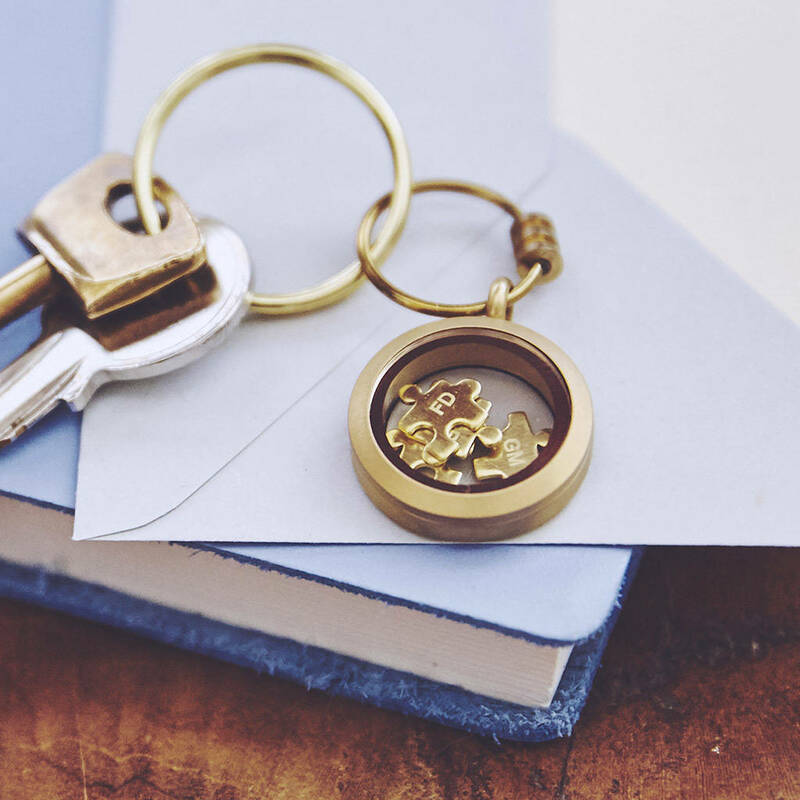 Our floating gold plated locket is filled with 4 oh so tiny solid raw brass jigsaw pieces, all expertly personalised and engraved with up to 3 characters. Have the initials of your children engraved, the word MUM or 2 initials with an & in between - it's up to you! 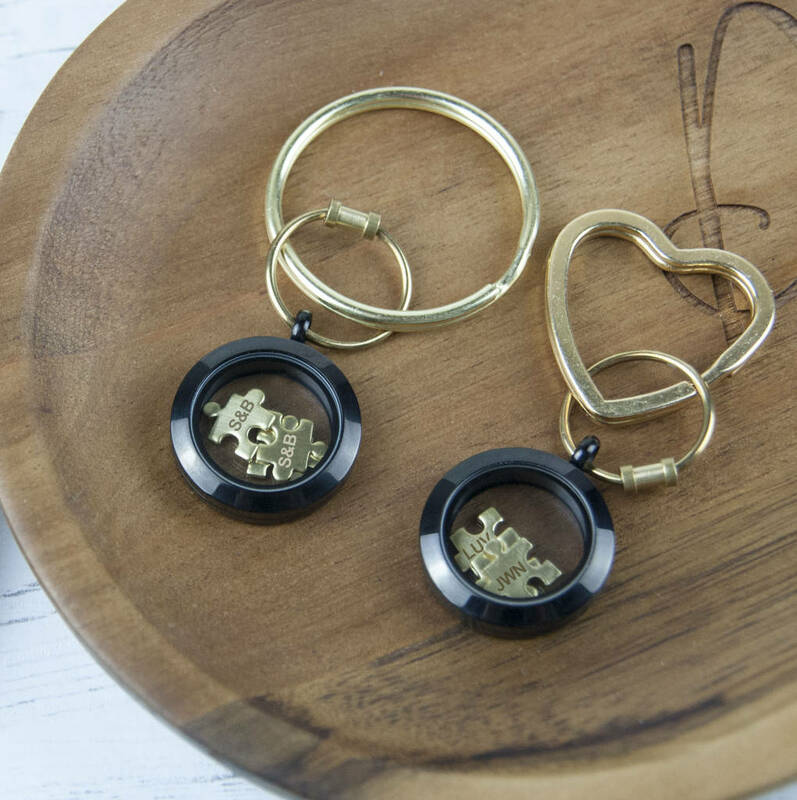 You can choose to have all the little pieces engraved identically or to have different characters on each piece! 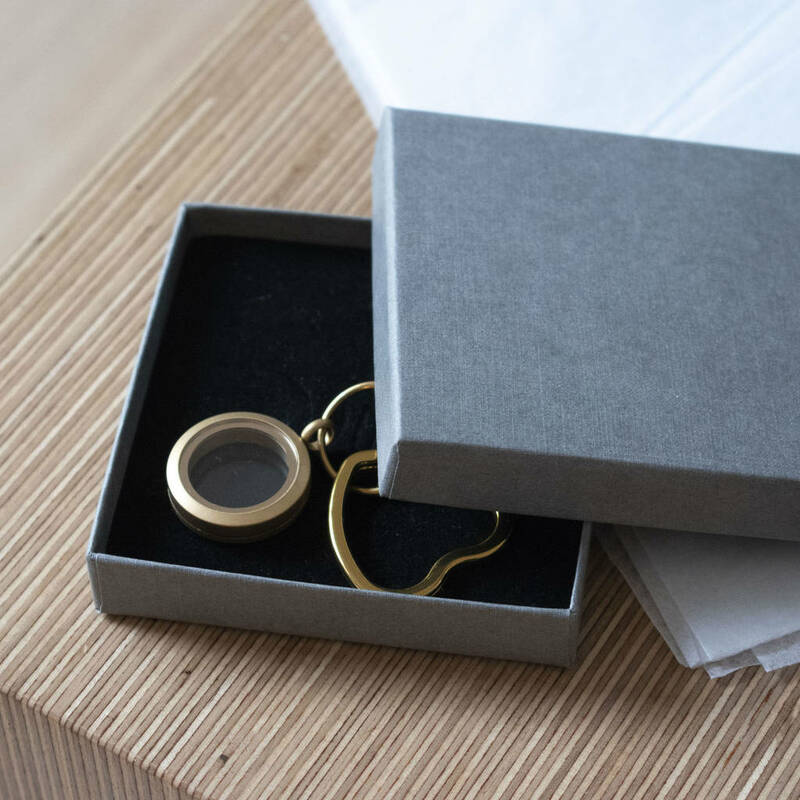 Please choose from the dropdown menu and carefully add the initials you want engraved for each piece. We will then delicately engrave your puzzle pieces and enclose them in the locket. 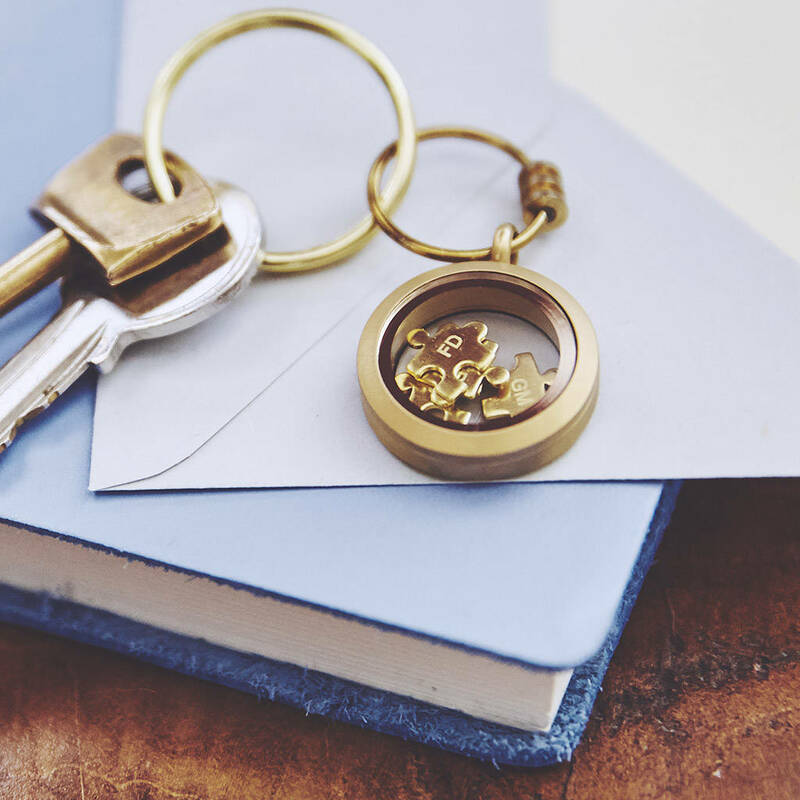 Your keyring then comes presented in our slim, grey gift box with a sweet card inserted, saying 'Love You To Pieces'. 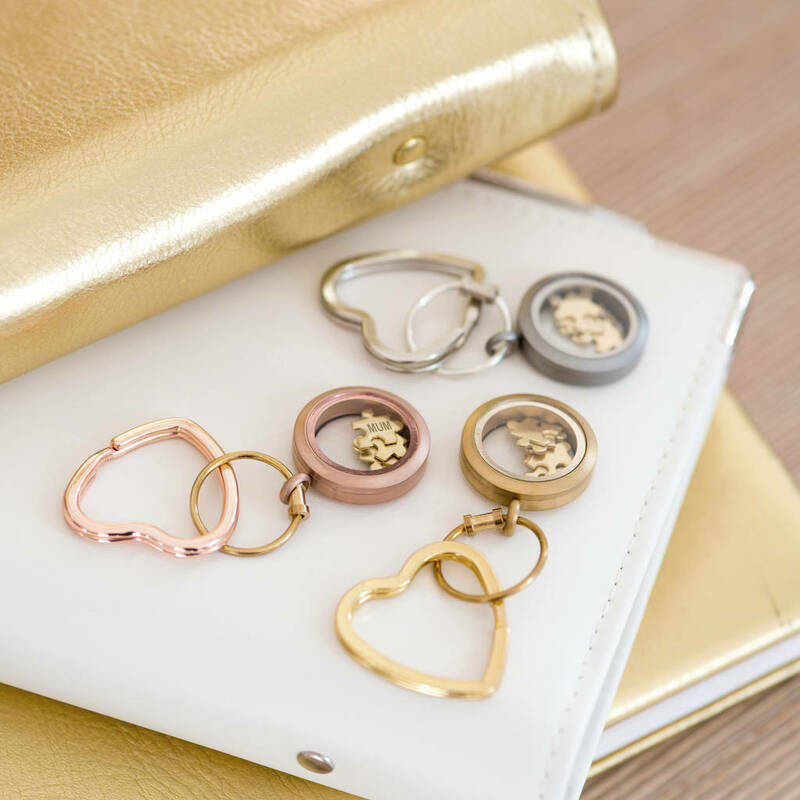 You also have a choice of a heart or round split ring, see the images and take your pick from the dropdown menu! 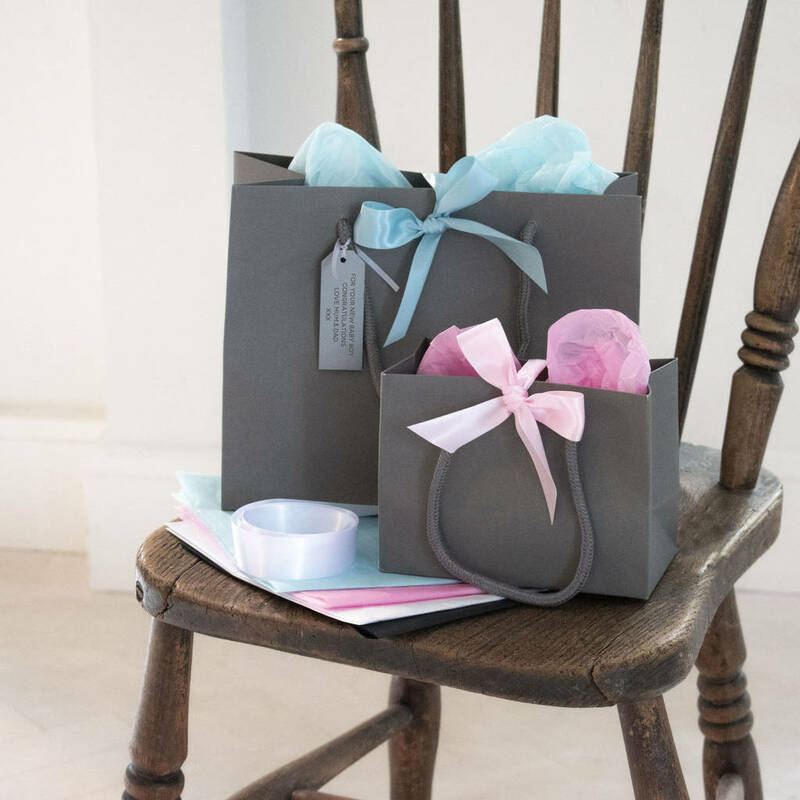 For that extra special touch, we are pleased to offer our quality Gift Wrapping complete with personalised tag. The silver acrylic gift tag is engraved with your own personal message, we can engrave up to 70 characters giving you plenty of space for a lovely greeting. 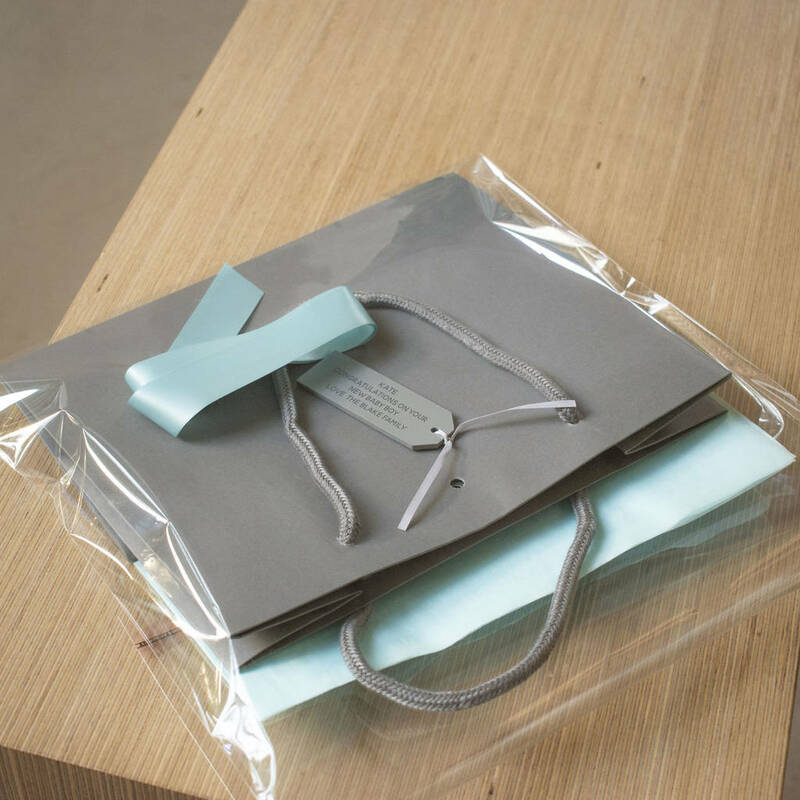 If you want to wrap your gift yourself, we will send the personalised wrapping to you inside a clear plastic bag to protect it during shipping. However, if your are sending direct to the recipient, we can pop your gift(s) inside the bag, cover with tissue and attch the ribbon and tag on your behalf. Please choose from the drop down menu and enter your tag wording in the box provided. 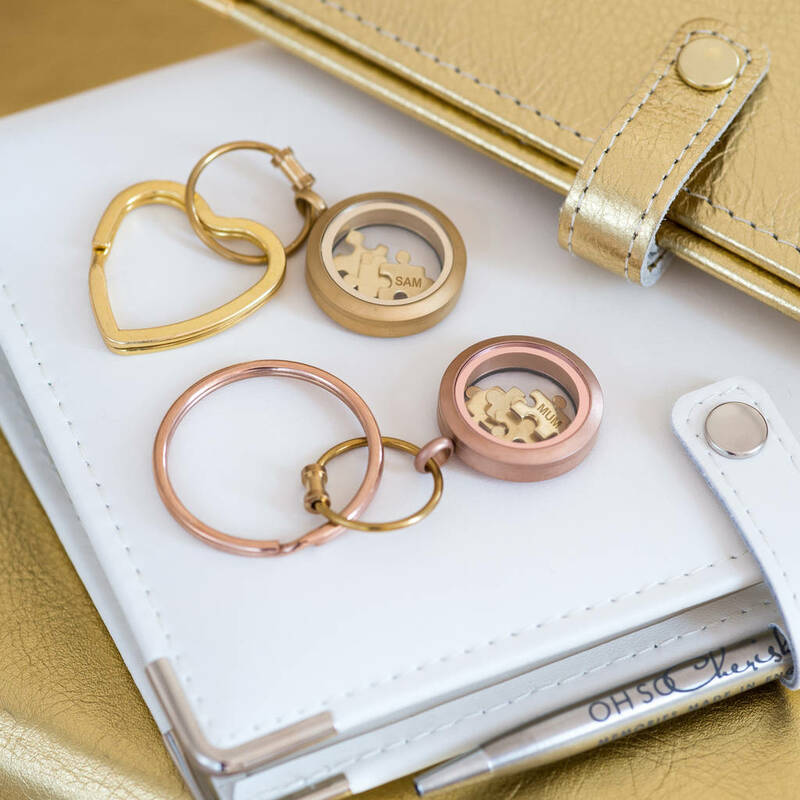 You have a choice of a yellow gold plated, rose gold plated or stainless steel floating locket both with solid raw brass jigsaw puzzle pieces and brass oe rose gold plated split rings. Locket 25mm in diameter, Puzzle pieces 1cm dia.